Private investigator Aimée Leduc has been introduced to the Cao Dai temple in Paris by her partner, René Friant. He urges her to learn to meditate: she could use a more healthful approach to life. The Vietnamese nun Linh has been helping Aimée to attain her goal, so when she asks Aimée for a favor—to go to the Clichy quartier to exchange an envelope for a package—René prompts Aimée to agree. 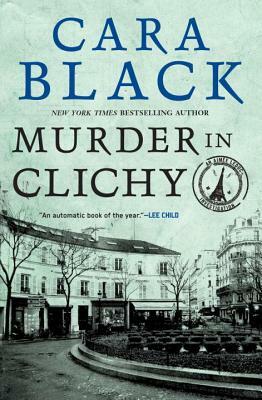 But the intended recipient, Thadée Baret, is shot and dies in Aimée’s arms before the transaction can be completed, leaving Aimée with a wounded arm, a check for 50,000 francs, and a trove of ancient jade artifacts. Whoever killed Baret wants the jade. The RG—the French secret service—a group of veterans of the war in Indochina and some wealthy ex-colonials and international corporations seeking oil rights are all implicated. And the nun, Linh, has disappeared. "Weaving culture, history and suspense, Black scores again."